You are here: Home / Indigo Crystal Rainbow and Star Children / 10 Signs You’re a Lightworker. 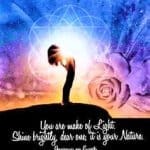 What Type of Lightworker Are You? A Lightworker may be a healer or a clearer of negative energies. Another may be a spiritual teacher. Others may be counselors or therapists. Some may be writers. Some function as seers. Seers peer deeply into other dimensions to bring back esoteric teachings and wisdom. 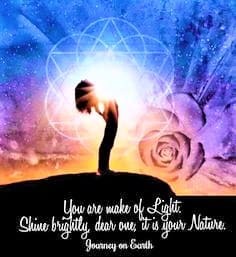 In Addition, a Lightworker can work in any job, high or low, and radiate the light of their Being, making a positive difference. A Lightworker exerts their energies to heal humanity and the Earth. Furthermore, they have a mission to assist evolution to a higher state. 1 Do You Feel a Strong Desire to Help Others? Are you a counselor, healer, energy clearer, a seer or a spiritual teacher? Unlike some maybe you radiate the light of you Being from your heart in the simplest walks of life. 2 Have You Faced Many Challenges Throughout Your Life? 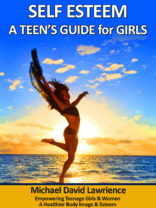 Have you struggled as a child, teen and adult? Besides that, have chosen to face your challenges, in spite of fear, and overcome them? Did you choose to heal your physical, emotional and mental patterns? Has a gift(s) emerged as you persevered? Do you use your gifts/strengths/talents to improve the lives of others? 3 Have You Felt Different, Misunderstood or Separate? Do you feel as if you’re not a part of this 3D world? Even though you may have no clue where home is, do you long to “go home?” Do you like places with strong high energy? Do you love nature or exploring nature? 4 Do You Have a Strong Desire to Protect and Heal the Earth? Do you support causes to heal the environment? Do you want animals, wild and domestic, to be humanely cared for? Are you passionate about using your voice so others rights may be heard? 5 Are You Empathic (sense the feelings of others)? Do you feel the energy of people around you? Do you pick up impressions about energies in places, homes or buildings? As a Lightworker, have you experienced going to a grocery store or a mall with crowds and felt exhausted? You probably absorbed the energies of these crowded areas? 6 Do You Know Your Intents and Thoughts Create Your Reality? A Lightworker with an open heart feels energies strongly. Do people approach you seeking advice? Do you offer positive suggestions so people can create a better life? As a Lightworker have you faced and life-challenging events? As a result, did you create a reality where you became stronger? 7 Do You Need Solitary Time to Recharge? As a Lightworker do you need alone time to recharge your energy? Do you also need time for contemplation or meditation? 8 What Type of Lightworker Are You? Do you feel like you have a unique purpose on Earth, regardless, whether you have found it yet? Do you yearn to heal or teach others or to be of help in some other way? Some Lightworkers use art or music to lift people’s spirits. A Lightworker may have a gift as an engineer, a mathematician or an inventor. 9 What Type of Healing Modalities Are You Most Interested In? 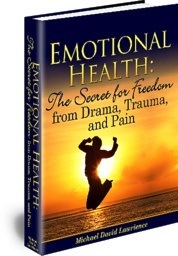 Is it physical, emotional, mental or spiritual healing? As a Lightworker, you may be more empathetic than others? You may go out of your way to help people? Have you learned to set up healthy personal boundaries? 10 Which of the Following Qualities Best Describe You?